Compare our monthly data against the ABOM AWS at Laverton. Unless otherwise advised, temperature is given in degrees Celsius (° C) and rainfall in millimetres (mm). 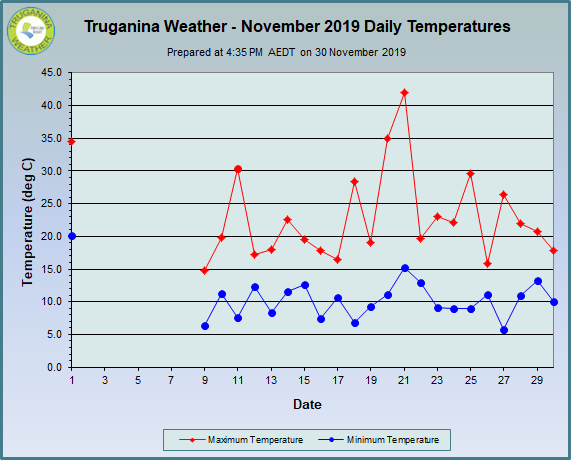 Maximum temperatures are for the 24 hours from 9 am on the date the data are recorded, and usually occur in the afternoon of that day. Minimum temperatures are for the 24 hours to 9 am on the date the data are recorded, and usually occur in the early morning of that day. 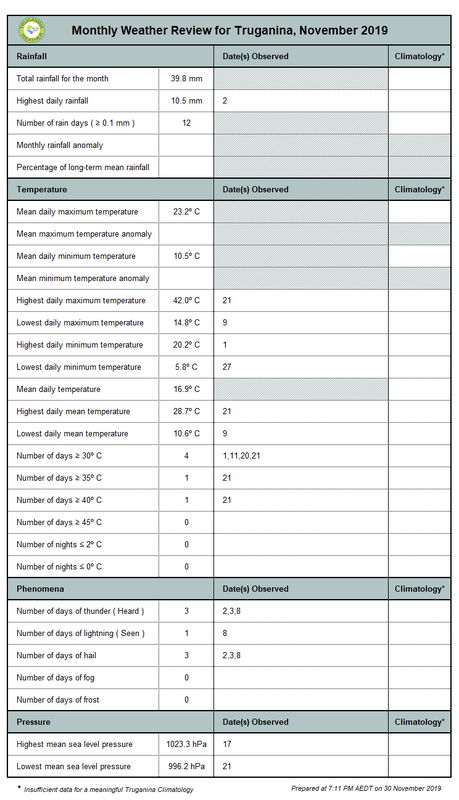 Mean temperatures are the average of the daily maximum and daily minimum temperatures. Daily rainfall is for the 24 hours to 9 am on the date the data are recorded. 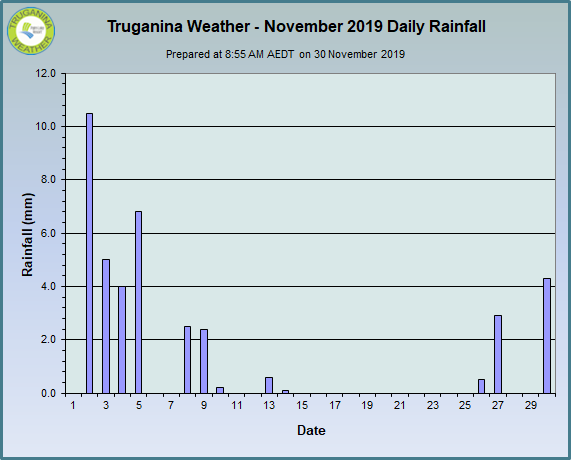 A significant fraction of the rain may have occurred on the previous calendar day. Monthly rainfall is from 9 am on the last day of the previous month to 9 am on the last day of the month under review. Phenomena are for the 24 hours to midnight on the date the data are recorded.